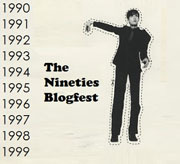 Today is the Nineties Blogfest, sponsored by Dave Wrote This. 1990 – Not a bad year for movies – Ghost, Total Recall, Die Hard:2. My favorite would be The Hunt For Red October. Alec Baldwin was the best Jack Ryan. And Extreme’s Pornograffitti came out – excellent CD! 1991 – I still remember it for the year of Terminator 2: Judgment Day and the T2 made of liquid metal. It’s also the year I discovered MST3K – greatest show ever. 1992 - Reservoir Dogs, Unforgiven, Dracula, and The Last of the Mohicans. In music, Dream Theater’s Images and Words came out. 1993 – Tombstone and Groundhog Day. But the big one was Jurassic Park, which still looks amazing today. In music, we had Rush’s Counterparts. 1995 - Anthrax (band not disease) released one of their best albums, Stomp 442. For movies, there was Braveheart and the underrated Nobody’s Fool with Paul Newman. 1996 – Year of the big movie budgets – Independence Day, Twister, Mission: Impossible, and Broken Arrow. My favorite – Star Trek: First Contact. I also discovered the awesome In Flames and their album The Jester Race. 1997 – Movies included The Lost World, L.A. Confidential, The Fifth Element, and of course, Titanic. Memorable album would be the Foo Fighters’ The Colour and the Shape. 1998 – This is the year the started the awesome Blade series and gave us the first X-Files movie. (I just pretend the second one never happened.) The talented Jerry Cantrell (from Alice in Chains) released a solo album, Boggy Depot. 1999 – Awesome movies included The Matrix, The Sixth Sense, Sleepy Hallow, and of course, Galaxy Quest! Now hooked on In Flames, I rejoice when their album Colony is released. This concludes our trip down the 90’s Memory Lane! Andrew Leon’s Shadow Spinner parts 1-5 are free today on Amazon! Budd at Scifi Media is hosting the Scare Me Blogfest on October 31, Halloween! Steven Symes’ children’s book, Gracie the Ghost Eater, is free today through Wednesday on Amazon! 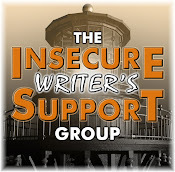 Don’t forget – this Wednesday is the Did I Notice Your Book Blogfest! 2 – I keep a master calendar in a binder by my desk and note blogfest, guest posts, and major events. That keeps me from over-booking or double booking. Or missing my own blogfest! 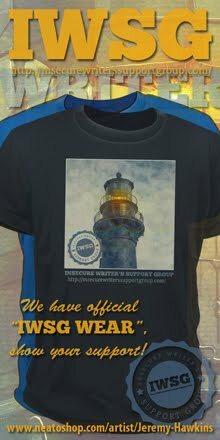 3 – I keep a master list of everyone who participates in the IWSG. I try to keep track of who’s posting and whom I haven’t visited in a while. 4 – Clones may or may not be involved in any of the above! Based on a true story - during the Iran hostage situation, the CIA comes up with a plan involving a fake movie called “Argo” to free six Americans hiding at the home of a Canadian ambassador. It was refreshing to see a film geared towards adults and the attention to detail was amazing. This movie is intense and gripping, but offset with humor. Goodman and Arkin play well off each other and Cranston as the CIA Chief is hilarious. Affleck, who also directed, did great in a very understated performance. You know the outcome but it’s still an intense ride. It’s 94% at Rotten Tomatoes and rumored to be an Oscar contender. Highly recommended! What do you remember from the 90’s? See any exciting news? Ready for the blogfest on Wednesday? Any organization tricks you want to steal or suggest? Did you get any directors correct? And did anyone else see Argo? Don’t forget to visit Juliana Haygert! Loved your 90s answers. T2 is still such an awesome movie! I completely forgot about Terminator 2. Thanks for the reminder. Why yes, I do believe so! So many good films you mention! I'd like to rewatch many of them sometimes. I was a happy teenager during the 90's. Great answers for the Nineties Blog Fest! Loved that you included Galaxy Quest in your blogfest answers. I love that movie. Oh, your answers brings the nineties back to me! I think the whole decade was a busy blur for me. Always wondered what Rotten Tomatoes are, you have an answer for me? The movie sounds good. Thanks for all your amazing info. Lynda, it feels that old, doesn't it? Elizabeth, some of it was fuzzy for me. Kitty, you always make me smile. George, when I was looking up movies, a couple years were pretty devoid of anything good. Siv, it's a movie website, one of THE movie websites. Google it! Jerry Cantrell's solo work was and is still amazing... Argo is one I want to see, thank you for the review. I didn't realize the 90s were so awesome, thanks for putting it in the proper perspective! I'm eager to see Argo. Affleck did a great job with The Town. Dave and I saw Argo on Friday night and it was probably one of the best films we've seen in years. The Canadian role in the rescue was downplayed (of course - it's a Hollywood movie after all) but it was still great to see Ken Taylor's efforts recognized. That man is an international hero and Canada will always be proud of what he did during that crisis. I highly recommend the movie and can't wait until it's on DVD to watch it again. I hope you had to look all those 90s movies up...or are they filed in your memory in neat little storage bins? I'm actually going to see Argo this weekend! Haven't been to the movies in forever. Last of the Mohicans is still one of my favorite movies. I had forgotten how long ago it was made. When I head back to the States in a few weeks, I hop Argo is still playing. It's sounds good. Nothing wrong with a clone or two. Argo looks great. Hopefully I'll get to see it. The 90s sure were great. You 90's list reminded me how much I used to go to the movies compared to how seldom I go now. That was a great blogfest. If I'd been paying attention I would have loved that one myself. Loved the trip down memory lane. I like your answers. I know I had big hair at the beginning of the 90's and waist length curly hair at the end. Still kind of big. Those weren't my best years either-- personal stuff. It was a season and by the grace of God, I moved out and past it. I was married in 1990, and had my 1st in 1992, my 2nd in 1998. So I'd have to say, they were good years. Sorry, *hangs head* not much of a movie buff. It's much easier to keep track of the url as you find great links and blogfests, than it is to try and find them as you write the blog post. That would be hard! Very smart, Alex. Enjoyed reading about the 90s. I was busy that decade - mostly work, very little play. Love your trip down memory movie lane! I used to love Ghost. Loved the trip through the 90s, great idea for a blogfest. I'm really looking forward to seeing Argo. Thanks for the tips on organizing, you do an amazing job keeping up with all these events and fests. Jeremy, the dude is amazing. So much talent. Rick, you won't be disappointed. Cathy, everything about it was amazing. Jemi, best Star Trek movie ever. Teresa, we survive and move on with His help. Candilynn, I'd be a mess otherwise. Due to working two jobs and going to college in the beginning of the 90's that decade is a blur. :) Although, I love the newest Star Trek best. Great organizational tips. I do the copy and pasting of URL's. Thanks for the review - can't wait to see "Argo." Got sucked into "The Walking Dead" marathon and then the new episode yesterday. Loved. It. But I am going to stop saying what characters I like - they tend not to last too long. Sigh. My husband recently read "The Hunt for Red October" and said it was excellent. Really looking forward to Argo! Congrats on the news to all. I loved The Fifth Element. And Mystery Science Theater. Really glad when Mike took over for Joel. Thanks for the review on Argo. I want to see it, but didn't want it to be a flop and waste of $10 for the ticket. I wondered how you kept all the blogger world news straight! :) Great Post! Al, that was an awesome breakdown on the films of the '90s. Girl likes. Your post reminded me just how many great movies were coming out in the early 90s before the CG revolution. The 80s and 90s produced some of the best cinematic works of all time. I'd like to see Argo this week, but I'm still woefully behind on my movie quota. I've yet to make it to see Dredd or Looper. I'm slipping! This is a trip down memory lane! The Hunt for Red October is probably my favorite of the decade. Heading over to Juliana's now. I'm sorry I won't be able to participate in Wednesday's blogfest, but I look forward to seeing what everyone else contributes. Your organizational skills boggle the mind, Alex. I wasn't a big fan of music during the 90s. I spent almost half of that decade in college, and I was so happy Hootie and the Blowfish killed grunge! Despite getting a better idea of how you keep all the blogging straight, it's still insane how you do it. So many great movies on the 90s! My favorite movies are from the 80s, Alien, Aliens, Predator, The Thing. I pretend the 2nd X-FILES didn't happen, too. (Never saw it actually) I do the same thing with the 3rd and 4th Alien movies, too. I enjoyed all your 90's comments. I went to see SEVEN PSYCHOPATHS instead of ARGO this weekend, and I wished I had seen ARGO now! Thanks for the shout out on the Scare Me Blogfest. great movie picks for the years. looking back the 90s had some really great movies. Just went to your interview. Sorry for the lateness, Saturday was Notre Dame football and some other things that kept me busy. Loved your answers. Loved the 90's! for me musically, it was all about Aerosmith's Get a Grip (1993) and Nine Lives (1998) and my discovery of grunge rock. Movies. the Crow and in 97, Cameron's Titanic. Will have to see Argo for sure. I remember Terminator 2 and Jurrasic Park. Not my first choice of genre movies, but I really enjoyed them. Really looking forward to seeing Argo. Just wish I had a theatre closer than 30 miles. LOL I think Ben Afleck has gotten better and better as an actor. I am doing the Wednesday blogfest. Looking forward to it. Great organizational hints, Alex! Please send a clone my way once in awhile. You've got some excellent movies choices. I was pleased to see the mention of Nobody's Fool. For me, watching Paul Newman never got old. But I can't comment on the music choices. The 90's was the decade I stopped trying to keep up with the music scene and went back to my favorite 50s and 60s. Thank you XM radio. Well, you kind of brought the '90s into focus. And Argo is a movie I'd like to see. Thanks for the trip down memory lane (90's). I had forgotten all the great movies of that decade, with LAST OF THE MOHICANS one of my all-time faves. Am definitely planning to see ARGO. Oops I'm double booked . . . but maybe it can work together since I'm having a guest author . . .can I notice her book? Have to figure that out by Wednesday . . . I think I need to steal some of your clones, or just make a calendar for my blog . . .
Ciara, it's the only I way I can keep up with everything. Madeline, sorry you keep losing your favorites. Yvonne, sorry you missed it. JW, you definitely need to catch up. Karen, they would boggle mine if I didn't use them! Juliana, thanks for the interview! Roland, not good? And don't bother with the second X-Files movie. Melissa, thanks, and I'm sure you're happy with the outcome of that game. Maryann, he's found his groove. Betty, I'll see what I can do. LD, my mom had a crush on Newman. Bad. 90s bringing back lots of memories! and when i see a hop i copy & email it to myself & keep a calendar too! dont want to overbook! Hey Alex, Great list. I forgot about Tombstone and Groundhog Day in 1993. Great movies. But, my favorite year of movies was 1997. Do you really remember what movies came out in what year? I could never do that. Must be some kind of special ninja ability. I love your organisational techniques and might have to utilise some of them! What a wonderful walk down memory lane in the 90's blogfest. Love the organization ideas! I need them all. You're amazing, Alex. Great system. Thanks for the trip down memory lane. I spend way too many years in the 90s making a really long commute. When I see your list of how you stay organized for blog posts, fests, etc. I'm once again wondering if and when you ever get any sleep. Argo sounds like my kind of movie. As always, I'll wait for the DVD...I'm avoiding the aroma of movie popcorn while I'm on this diet. I also pretend the second x-files movie was never made. LOL. As for keeping organised, I now have a calendar for all the major activities. I'm still terrified I will miss something, though. I would definitely stay with Barcelona 92​​, Reservoir Dogs and Dream Theater's Images and Words came out. The nineties - not my fave decade. . . but I was busy then. I loved the Terminator movies, and Matrix. Special effects makes scifi so much more believable. Can't do any blogfests right now, I've committed to working on WIPs, one which I'll need in the new year, and I'm subbing a completed book. I will come and comment to show my support, though. You're very organized, Alex, and I always enjoy it when you do visit my blog. But why not another book? Is the music becoming more important now? Tyrean, noticing her book is a cool idea. Gwen, I remembered half and then did a Google search. Patricia, I do like my sleep. Thanks for the trip back to the nineties! I loved Groundhog Day. Both my daughters were born in the nineties so happy days! Enjoyed your interview over with Juliana. Seems we have similar taste in both music & movies from the 90's. My son was born in '94 & named after Brandon Lee, a local Bay Area boy we knew & whose loss we grieved. I've got my DINYB blogfest post already scheduled. If I want to participate in something online, I jot it down in my iPhone calendar with reminders. I'd be lost otherwise. Your post brought back a lot of memories. I meant to look up the year for MST3K in case I could use it in my post, but I forgot! Looking forward to seeing Argo, it looks really good. I must go see Argo. Thanks for the rundown on the nineties. I like your picks. You have listed some great movies, Alex. And I must tell you this that you are very methodical. You make everything you do look so easy. I liked some of the movies you mentioned from every year, but I really liked all the ones from 90 and 94. And I can't wait to see ARGO! Oscar contender, huh? Well, now I'll really have to go see it! I'm so excited about seeing Argo! Thanks for the review. With the 90s, you jolted my memory about one film that I loved even though I didn't see it until 2002. It was Equilibrium. Did you ever see that? With Christian Bale? It came out around the same time as The Matrix and it's stylish like the Matrix so people thought it was the same kind of film but it's actually very different. I loved it, it was a very clever idea and so slick. We saw Argo this weekend and 15 minutes in I leaned over to my husband and asked him if this was about the hostages in Iran. To his credit he was not annoyed with me. DG, I'm not sure yet! I'm really enjoying playing in the band at the moment. I'll just see where God leads me. Eliza, it actually started in 1990 but I didn't discover it until the end of the second season. Stephsco, we own them as well. Sucker for dinosaurs I guess. Rachna, I fake it well. Andrew, you're welcome. And that is odd. Jai, that was another overlooked film. Johanna, that's all right - my wife had no idea what it was about until we got there. I love that you love Mystery Science Theater! Such a good show. So many great movies during the nineties. I watched a lot, and I discovered MST3K then too. I'm starting to keep a calendar of things on the side of my desk. So many great things going on! The Hunt of Red October is an awesome movie! I'll go check out Juliana's site. In this context, I had no idea how many great movies came out of the 90s. Alex was the best Ryan. Too bad he gave up. And Matrix... my grandsons burned my first copy to dust, they watched it that much. And who could forget Linda Hamilton in T2. My sons loved Tombstone. I still don't know how you keep up this pace, Alex. Loved your answers and your organization tricks:-) I don't remember much about the 90s . . . kids took over my life in the year 2000 and it's funny how trivial that whole decade seems to me now, lol. Alison, now we just have Riff Trax. Christine, don't want to miss any. Joylene - burned it to dust! And I believe it was the studio that wanted to switch to Ford and booted Baldwin. Definitely want to see Argo. I knew clones were a distinct possibility! ;) I keep a blogging calendar, too. I'd probably be lost without it! There were a lot of great 90's movies. Jurassic Park made into my list as well. I don't know how you keep up with all hops & fests. Jackie @ Bouquet of Books and I are hosting Spooktoberfest this month and its so hard to keep up with everyone else's as well so I commend you. You're tha man Ninja! Man, I miss the 90s! Man! The 90s was AWESOME for movies!! I definitely want to see ARGO. I like both actors. I want to do your blogfest I just need to go back and find out how to do it. The brain has been on fuzz of late and my juggling skills leave a lot to be desired. Let's just say juggling with eggs isn't smart since I end up with egg all over the place, lolol! Yep, he's from the same area we are. We loved him. Since I was pregnant with a boy, we decided to name him after Brandon Lee. Cool, huh? I still say Terminator 2 is the best thing to come out of the 90's. But Mystery Science Theater 3000 is pretty close. Jurassic Park remains one of my all-time favorite movies. I never saw The Fifth Element on the big screen, yet whenever I come across it on TV I find myself hooked and watching some scenes over and over. Strangely addictive. Argo is one movie I just have, especially since I was around for the Iranian hostage crisis and later heard about the CIA/ motion picture ruse used to help engineer an escape. Sia, just click on the badge in my sidebar and it'll take you to the post that says what to do. SL, I have to tip it to MST3K. Mary, hope that was a good thing! A friend just told me Argo is excellent. Oooh, I heard Argo was good :) And I still can't believe how much you do! It's truly amazing. Thanks for sharing your awesome movie knowledge! I love how you're so organized...don't know how you do it. I think clones aren't involved but if they were, I would be SURPRISED. YES, Argo is an incredible film! I'm glad that I saw it in theatres. I would like to see The Sixth Sense one of these days. I heard it's excellent! I so loved First Contact! It was awesome. Thanks for the trip back in time! All those great movies from the '90s, wow! The Matrix is one of my faves, plus some of the others you mentioned. I'm ready for the Did I Notice Your Book Blogfest. Looks like a good group of us are participating. Yay! So many great films out there. Fifth Element is such a good one, and who can better The Matrix? Helena, I do the same thing if I see it on TV. Thanks, Livia. And you need to watch the Sixth Sense. Brilliant movie. Denise, I've talked to someone about doing a newsletter with all of the information. A blog is a good idea. But not a chance I'd have time to do it! Ahh, the good old '90's. My high school and university years. Loved them all. You've listed most of my faves too! And, I knew you had clones! Love The Matrix, Nice Ninja secrets, #2 is one I might start doing. Argo does seem like a movie to see. Good post today Alex. I loved The Hunt For Red October. Although, since my job in the Navy involved looking for submarines (I was an airborne Jonesy), I drove Mrs. Penwasser crazy pointing out the inaccuracies. For instance, that Russians didn't have Scottish accents. Thanks for the stroll down 90s lane. Loved it (I loved the 90s). Lots of good movies and I saw almost every one you mentioned! Especially enjoyed Resevoir Dogs! Awesome Ninja News. I got a free copy of the children's book- Gracie the Ghost Eater! Sounds fun. I remember when Independence Day came out. I loved re-enacting that movie. Brothers make great Aliens. I've a good friend who loves Jurassic Park. I watched it with her the other day and am surprised at how great the dinosaurs looked! Very good movie. Nice recollection of the nineties. And 1999 with that ground-breaking movie, "The Matrix". With your busy schedule, I actually think there might be a possibility you have a series of cloned calendars to go along with your master calendar. Thanks for the trip down Memory Lane! Some really good movies in that era -- but Casablanca trumps all. Oh man, I've watched Broken Arrow so many times I practically have it memorized. Stoked to see Argo! Cool picks. Some of my favorites too. I have to keep a word document with links too or I forget so many things. I'd like to see Argo. Thanks for the review. My son, almost 15, really wants to see it, too. I didn't see Groundhog Day when it first came out, but it's on reruns on tv a lot and I still haven't gotten tired of watching it! Marta, you have good taste then! DMS, Steven will be excited. Heather, I was many years before that. Donna, good to know I'm not the only one! Mary, outside of the F-bomb, there's nothing objectionable. Aaah! The 90's! I'm just glad those clothes and hairstyles are gone. Too much of the 80's still in them. I have to agree with you on the movie Hunt for Red October- great movie. Excellent 90's movie choices, in my humble opinion :)! I didn't hear about the 90s blogfest until today. Very cool. Boggy Depot is a great album, one of my top coffee shop albums. Thanks for the organizational tips. I need to start doing some of that because my mind is going. Haha. Hope you had a great weekend! Ah, your 90s answers are so spot on! And I'm constantly amazed by how you keep up with the blogging world. Thanks for sharing your tips. Sometimes I get overwhelmed and feel like I'm missing out. Haven't seen Argo but hoping to change that. That was a great trip down memory lane with all of the movies. Kudos to your organizational skills! You had some things in here that I REALLY liked. Jurassic Park (we have lot's of kids so I saw this many times). Pulp Fiction (just watched it again yesterday). I should have participated in this! Music from the Nineties was pretty good (in spite of my strong preference for classic rock) till the pop explosion of 1997. Even the pre-explosion pop was generally fun and at least made by people with some kind of talent. Now it's all auto-tune and not as much natural talent. Clothes from the early Nineties look pretty horrible in hindsight. What were women thinking, with those huge lace collars? I see so many of my favorite movies in your 90s post. Rose, I just hope the 80's don't come back. Michael, you're a Cantrell fan? Very cool! Summer, that's a lot to keep track of! Pat, sorry you missed it! My bad for not mentioning it last Friday. Carrie-Anne - and the shoulder pads! What was that all about? I love your view on the second X-Files movie - I'll have to adopt that view myself! Ahh, Jurassic Park. Such an important film. It was that movie that first got me interested in archaeology (the scene in Montana where Grant excavates the velociraptor). You were so right about Looper, I can't wait to see Argo. Galaxy Quest- one of my all time favorites. Yes good organization. You do a great job of promotion. MST 3000 rocked ... that's what I call entertainment. I love how organised you are with blogging! I need some of that organisational prowess! Can't wait to see Argo! I shall take a few tips from the Ninja Organizational secrets. With all my focus on my writing these days, I'm finding it hard to keep track of blogging. You know in the movie, The Hunt for Red October-the opening scene where the sub surfaces, gave me chills! It is where I am from... I'll never forget the tingle up my spine feeling, in the theater! Great movies: Contact is still vivid and never have gotten over Jurrasic Park! You gotta stay organized. Can't forge your own Blogfest! Lots of great movies and TV shows in the 90s.Can't believe I forgot MST 3000. Your Ninja Organizational Secrets Revealed section is awesome. I am amazed and still don't understand how you do it. Damy, hope some of those tricks work. Ah, First Contact. I need to rewatch that movie. It's been too long! I watched Independence Day so much when I was a kid that I wore out the video tape!!! Hmmm ... I thought I signed up for your Blogfest over at Ciara's site but didn;t see my name on the list. So I signed up again. I'll post it later tonight. Haven't seen ARGO yet, but The Wife is out of town and wants to see it. As for the directors, I had all but the last one. Randi, hope you have it on DVD now. Stephen, I promise I didn't take you off the list! Joshua, when she come home, go see it! Thanks for revelation of your organizational secrets. The nineties - It seems I have had other interests than music and movies. In 1991 I married my wife, our daughter was born and I started my job. I love The last of the Mohicans, The Fifth Element and Galaxy Quest! As far as music I need to add The Cranberries. In my mind, the 90s seems like yesterday, then I do the math. Yikes! Where has time gone? Love your interview, Alex, and I dig the fact that your scariest moment was proposing to your wife. You are a great man! Edi, that's a lot for one year. My daughter was born in the 90's. That seems to color everything, so I was watching Mulan and Aladdin back then. But, if I had to pick the most outstanding movie of the 90's, I had have to say Forrest Gump. Thanks for the walk down memory lane with 90's movies. Sheesh, I can't believe they were all from the 90's. Gulp. And Argo is a movie I must see! It sounds amazing. Speaking of amazing, the way you keep up with everything...mind blown. So sorry I wasn't by last week. The whole malware thing had me in a tizzy and hours of corrections to the blog. The 90's was filled with young children growing up. The year Jurassic Park came out on video, we had a sleepover, played the movie, turned the lights down low, and listened to the screams of all the kids. Great fun. Here's my pics for each year: Hunt for Red October was awesome and Groundhog Day is one of my all-time faves. I've also heard good reviews about Argo. MST3K is indeed one of the best shows ever! I was too young to stay up and watch it (I think it played at 3am where I live)so my dad always recorded it for me. I was almost seven years old when I saw Jurassic Park in the theater with my parents. I've been obsessed with dinosaurs ever since. And Star Trek First Contact is AWESOME! You are so organized! I love your secrets. Thanks for sharing (because I did wonder how you keep all this information so perfectly straight). As usual, you rock. Maan, if I'd known about the 90s Blogfest I would have been so in! Liza, I watched Aladdin and I don't even have kids! Julie, I just do my best to keep it all together. Nancy, sorry about the malware. LG, you have great taste! Trisha, sorry you missed it.